As part of its sponsorship of the Wi-Fi at the Dubai Lynx International Festival of Creativity, PHD brought a special guest to share the Wi-Fi login details with attendees. Titan the Robot entertained crowds throughout the festival, serenading them with tunes when he wasn’t engaging in conversation – in both English and Arabic. He was even invited on stage during the opening ceremony to ensure the festival kicked off with a bang. The hashtag, #PHDRobot, was shared by Titan to everyone who took a photo or video of him, along with PHD UAE’s Twitter handle. 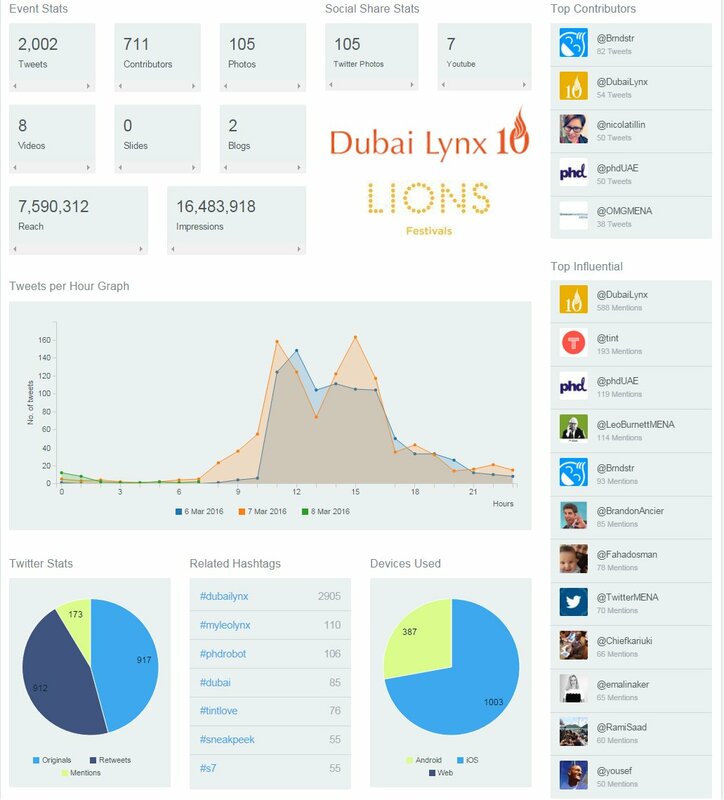 As a result, @phdUAE was the third most influential Twitter account at the event according to this infographic, and #PHDRobot was the third most-used hashtag. PHD UAE’s overall coverage of the festival on Twitter also placed them among the Top Contributors. Furthermore, several blogs and publications focused on the activation in their roundup of the event, including CNN, b-change and Emirates Woman.